Eyeglasses have a fascinating, yet rather poorly recorded history. Today we take for granted the ability to correct our vision, but this easily acquired luxury has not always been so easy. This article will review the significant historical events in the evolution of eyeglasses. It is the Italians who are widely credited for the invention of eyeglasses to aid vision. Believed invented in the 1200’s by someone whose name has since been lost to history, these first Italian eyeglasses were used primarily by monks for reading. The first mention of the use of eyeglasses in a book was by Robert Grosseteste in a book titled De iride (“On the Ranbow”) printed in 1235. It mentions using a lens to “read the smallest letters at incredible distances”. There is record of a sermon given in Italy in 1306 which mentions “It is not yet 20 years since there was found the art of making eyeglasses”. So the date for the first pair of recorded glasses has been placed sometime in the 1200’s. 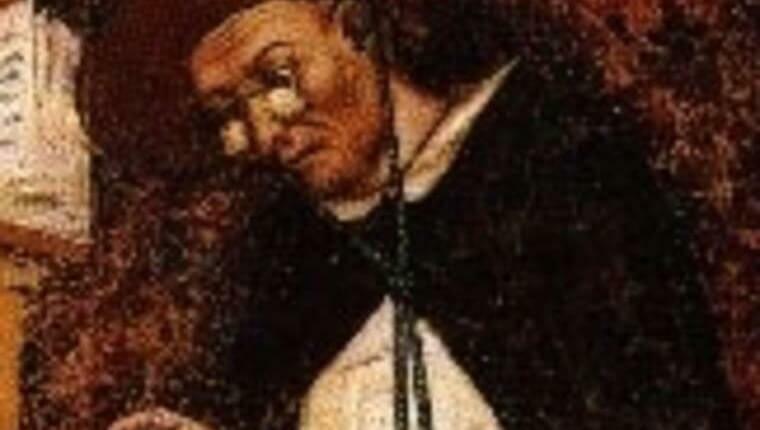 The earliest painting of someone wearing glasses was painted by Italian Tommaso da Modena of a Cardinal by the name of Hugh of Saint-Cher in 1352. The Italians in the 1200’s were undergoing a Renaissance of sorts in glass making. They had the most advanced glass making industry in the world at the time, with the tools needed to experiment with the limits of what glass could do. This period of emerging glass making techniques in Italy helped make the region prime for the development of eyeglasses by Italian glassblowers. 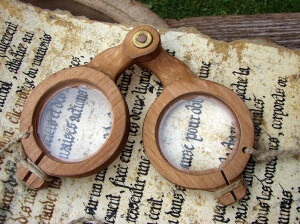 Reading glasses, however, did not become mainstream in peoples lives until the invention of the printing press in 1452. Whereas reading material was sparse before this time, the printing press made books far more accessible and affordable for everyone. Practically overnight, everyone over the age of 40 was looking for a way to more easily read the plethora of reading materials being distributed. As a result, reading glasses also began to increase in production. The 1700’s saw the introduction of what might be considered the modern eyeglass. Until this time, eyeglasses had to be held by hand or simply sat on the bridge of the nose unsupported. The 1700’s saw the introduction of temples on glasses to support them from behind the ears. Benjamin Franklin is widely credited for the invention of the bifocal in 1784 when he glued the top half of his distance glasses to the bottom half of his reading glasses. The 1900s saw the next leap forward. 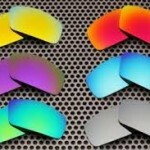 During the early to mid 1900’s glasses began to be mass produced, helping to reduce their cost. Eyeglass manufactures, through the use of the newly minted movie stars, also began using eyeglasses design as a fashion statement and using movie stars as their billboards. The early to mid 1900s therefore saw eyeglasses become stylish as they were functional. Sunglasses have a history of their own, dating back even further than glasses intended to aid in vision clarity. 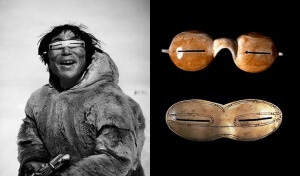 Archaeologic evidence has found evidence in prehistoric time of Inuit eskimos use of walrus tusk glasses to block the sun. These glasses were made without lenses, but rather used a thin slit carved in the walrus tusk through which the wearer could see. The earliest written reference to sunglasses dates back to ancient Rome. The Roman emperor Nero watched gladiator fights through polished emerald over an inch thick. Although the exact purpose of these emerald glasses is unknown, it is believed it was in order to reduce the intensity of the bright Roman summer sun. Although today we typically think of sunglasses being used for protection from harmful UV rays and light sensitivity, in the 16th through early 20th centuries tinted glasses were believed to cure everything from stomach aches to arthritis. 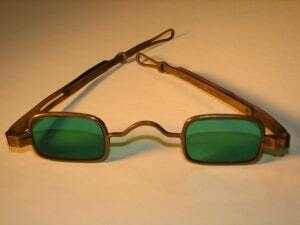 In the 1800’s, lenses tined green or yellow were prescribed to treat syphilis. It was not until the 1929 that sunglasses advertising their UV protective properties were sold, the first of which by the Foster Grant company which is still around today. It was shortly after, during the 1940s, that Ray-Ban introduced polarized sunglasses to World War 2 aviators to help them reduce glare. 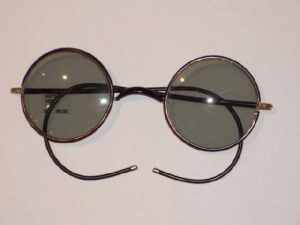 Sunglasses in the 1900’s, therefore, were making the advance from being used reactively to treat disease to being used proactively to prevent Ultraviolet and glare related problems. Today approximately 64 percent of the adult population in America wears glasses. A far cry from when Nero watched the Gladiators through an Emerald. What will future history books say about the glasses we wear today?